We are pleased to announce the opening of an exhibition in partnership with the Hong Kong Polytechnic University. From September 15 through October 30, students will interact with panels on Holocaust history, as well as information on other genocides, in the campus library. Photos of the exhibition are online here. 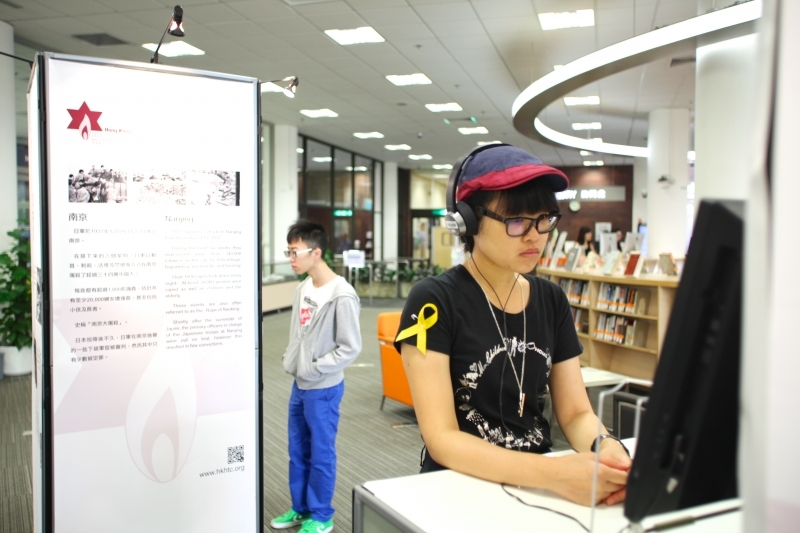 This initiative is part PolyU’s annual Read@ event series, which this year centers on John Boyne’s The Boy in the Striped Pajamas. On October 7 students heard from Holocaust survivor Silvain Gilbert. On October 13 and 20, they will watch the film based on Boyne’s book and partake in a post-screening discussion on the film.